Karen Callaway Williams, an original member of the New Jersey Tap Ensemble and its first Dance Captain, is currently featured on the cover of Flow Magazine Summer Issue. She can be seen in the current documentary Been Rich All My Life (The Story of the Silver Belles).Broadway credits include Tony Award Nominated Duke Ellington musical PlayOn and the International Phenomenon Riverdance-On Broadway of which she was the first African American female tap dancer and dance captain. A special quest artist on Sesame Street she was also interviewed in Bojangles the Legacy for Showtime. Karen tours nationally and internationally with Tap City in Tour and Tap Tel Aviv.Other credits include Essence Magazine, Dance Magazine, and performances at the Cotton Club and the Apollo. 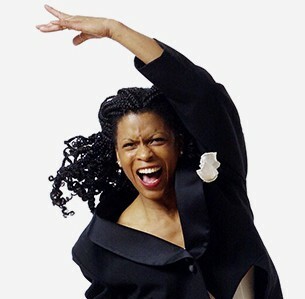 She has been a quest tap soloist for several orchestras including The Duke Ellington Orchestra, Indianapolis Symphony, Detroit Symphony, Toronto Symphony, Baltimore Symphony, Cincinnati Symphony and the Cincinnati PopsLook for the upcoming release of her first children’s book “Gabriella’s Tap Shoes”.